Here’s what I think is the confidence trick in Theresa May’s current stance. The Prime Minister claims that the deal she has negotiated is the only one possible, which may be true, but only given her ‘red lines’. If they are loosened, a different deal is possible. In particular, her insistence on no customs union (i.e. getting out of the tarriff-free EU), requires new tariff agreements on all forms of goods and services. That affects all borders, including the Irish border and all ports. With an economy totally integrated into Europe after 40 years of free trade that will take a lot of time to negotiate, most of which is left to the ‘transition period’, after we leave the EU. It isn’t part of the ‘deal’. That is why the EU has insisted on the backstop, which basically keeps us in the customs union until those new tariffs are agreed. So the backstop really is very likely to be needed, and probably for a long time. This really is an impossible situation, so she is pushing it until the last minute before we leave the EU, to frighten everyone with a prospect of no deal, and that is why she won’t agree to rule out no deal. The anger of the vote leave people is real and justified. It is due to rising inequality and austerity, but the far right has played their usual trick of blaming it on scapegoats: the EU and immigrants. So that anger will erupt if we don’t leave now. A second referendum would give people a chance to see through the con job and so defeat the chance to leave the EU. The real solution is a changed economy based on equality and environmental soundness. The movement to build that is now growing quietly, within the existing economy, but it is still well below the radar. For example, I spent three hours yesterday in two online video conferences about it (as a participant, not an organiser or speaker). One was the Municipalities in Transition project, bringing together community groups working with their local governments for a more collaborative and sustainable economy. The other was a progress report on the Holo project, building a decentralised internet, which would form the basis of a decentralised economy with alternatives to the dominant financial institutions. So, would leaving the EU, especially crashing out make this more or less likely? I don’t think that is knowable and can see scenarios both ways. The fragile, embryonic new economy could be empowered by economic chaos but it could also be squashed by an increased authoritarianism. It is a global, not a British project, so I think we would be better off building it while within the EU. I gave a talk at the Open Coop event, “Open:2018 Platform Coops”on 27 July 2018 in Conway Hall, London. The Open Coop has recently completed putting its various talks and workshops online, so I’ve linked mine below. I thought it was a great event, and recommend people look at various of the other parts of it too. My talk was about 12 minutes long and then there are another 12 minutes or so of questions and answers. It included four polls of the audience to see how much the vision was actually shared. See how much you agree too! Note that I used slides that built in stages, and you will see that the poor editor who tried to turn this into a coherent video struggled with that, but the audio is clear throughout. A world organised to serve the wellbeing of people and planet, not money and power! The key is a new ‘killer app’, built around reputation for serving people and planet, as the heart of a mutual suppport and trading system. With it as the basis of a global network of local networks, it could be the catalyst to pull our movement together. It will strengthen us individually and collectively. Read this to see why I have come to believe that it is within reach: that we could make a significant start within 5 years leading to rapid growth, and then a tipping point so that by 2050 it could be approaching mainstream to the extent that mobile phones are now. The pamphlet is short and a quick read. See what you think. 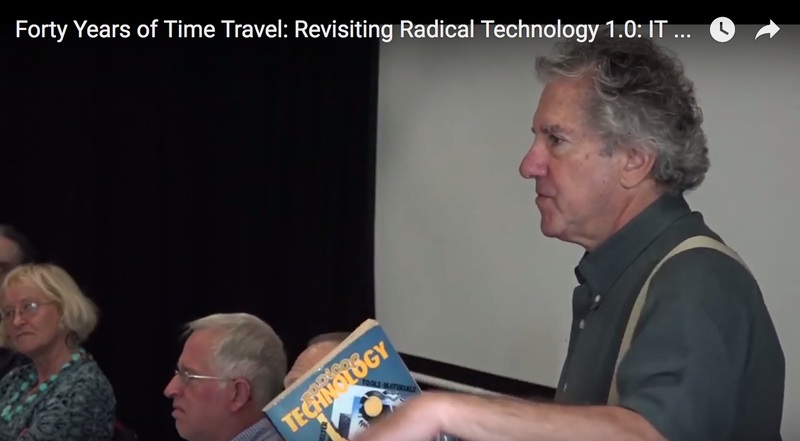 I’ve been recently told that the very interesting Radical Technology Revisited conference held in London last September has now put all the talks online. I gave two talks, and so I’m very happy to give the links. My first talk was called “Radical Communication Technology“. (View it as full screen or it cuts off the top of my head.) I was presenting a quick summary of a transition to a cooperative, sustainable society, where we are with it now, and how communications technologies are one key to it. It lasted for about 10 minutes. I didn’t use slides but here are my notes as a one-page pdf: RadTechTalk1Comms. My second talk was called Green Growth: Contradiction or Necessity? 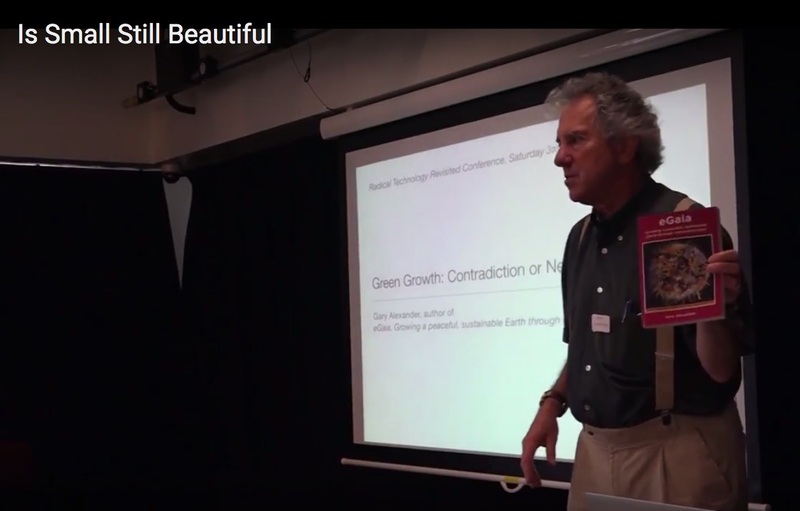 as part of a session called “Is small still beautiful?” I argue that if we mean by ‘green growth’ continued GDP growth that is somehow greener, that is indeed a contradiction, but if we mean ‘growth in the wellbeing of people and planet’, then it is a necessity, and it is growing now. The form that is becoming clearer is a cooperative society with environmental care at its heart. I list lots of starting points, and show very brief videos introducing three of them: Transition Network, Enspiral and Ecobasa. The talk lasts about 20 minutes. Here are my slides for the talk, as a pdf, which includes my presenter notes and clickable links for the video extracts. Hope you like them. Let me know what you think. Corbyn did well in the referendum. Trying to sack him is just opportunism by the New Labour/Blairite faction, and is suicidal for the Labour Party. Rather, the Labour Party should be jumping at the opportunity to sweep up the Leave and Remain voters with a new vision: People taking back control of their own lives, not just from a bureacratic EU, but a controlling Westminster, and especially from banks and big businesses. Lead a partnership to set up an economy that really works, that serves people and planet, is controlled by local communities working collaboratively. 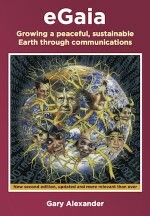 Set up networks of co-operatives and ethical businesses, stabilised by public reputation, not wealth. Help us enjoy the mixing of cultures that is sweeping the world. They are not a threat, if we work to serve each other, not compete with each other. You don’t need to be in power to do this, but it will put you in power. Top tip: IT tools make this possible for the first time.